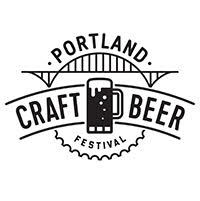 This weekend is the inaugural Portland Craft Beer Fest. Possibly the largest beer fest in the country that has only breweries from one city. Advance tickets are still available through midnight, July 2nd. Remember you receive 15 beer tickets if you purchase your mug in advance, and only 10 tickets at the door! Your mug is good all weekend – whether you attend one day or all three days. Additional tickets will be available for purchase at $1.00 apiece. A Ribbon Cutting Ceremony will open the festival at 4pm, Friday July 3rd. The festival will be open until 10pm both Fridayand Saturday evenings with last call at 9:40pm each night. The Portland Streetcar runs from Downtown, Northwest, & the Inner Eastside and stops a block from The Fields Park on NW Northrup.· PCBF will be partnering with Lyft for safe rides to and from the festival. Download the app and use the code “PCBF”, redeemable by anybody new to Lyft for a free ride up to $20. · Pedi-cabs will also be on hand – a gorgeous trip along the waterfront park for anyone looking to go back and forth from the Waterfront Blues Festival. · For those of you with designated drivers, there is a parking lot, Station Place Garage Lot 120, located at 720 NW Lovejoy Court, at the west end of the Broadway Bridge. BRIDGEPORT - Stumptown Tart 15 IBU 7.7% - Superbly crisp and always refreshing, this year’s Stumptown Tart is brewed with fresh Northwest raspberries. With an irresistibly tart finish, you’ll never want to put her down. ECLIPTIC - Aurora Crimson Saison 28 IBU 5.00% - Our Aurora Crimson Saison is a summertime refresher. Its light malt flavor is accentuated by spicy Belgian yeast character and balanced with Sterling hops. Aurora’s crimson comes from rhubarb, which adds a radiant tart character to the beer. GIGANTIC BREWING - SOLID! 6.00% - Hoppy American Wheat. Who says American wheat beers need to be mild flavored? Not us. Were redesigning what wheat beer can be – boldly hoppy, crisp, clear(ish) and absolutely solid! HUMBLE BREWING - Saaz Saison 38 IBU 5.80% - Pils, Munich and white wheat malts, Saaz hops, fermented with French Saison yeast provide a clean, slightly tart easy drinking saison. LOMPOC BREWING - Saison de L'evolution 25 IBU 5.80% - This is a hazy Belgian style farmhouse ale that is dry and crisp. Made with candied ginger, lemon and orange peel, and coriander. PORTLAND U-BREW & PUB - Peach Saison 20 IBU 5.00% - Brewed with Belgian and American grains, 4 yeast blended and pure peach pruee added to secondary fermation. Sorachi Ace hops. UPRIGHT BREWING - Four 18 IBU 4.50% - Four is a wheat based table saison embodying the spirit of country style French ales with light floral tones and a dry, tart finish. WIDMER - Hefe 30 IBU 4.90% - America's Original Hefeweizen.Our naturally cloudy flagship brew features a bold, clean flavor and pronounced citrus and floral aromas. ALAMEDA BREWHOUSE - P-Town Pilsner 20 IBU 4.00% - Our house session Lager. This is your quintessential dry, clean and crisp German Pilsner. With a bready aroma, great Pilsner malt flavor and a slightly hoppy finish for balance. The perfect beer to beat the Summer heat. BAERLIC BREWING CO. - Eastside Oatmeal Pilsner 50 IBU 6.00% - Traditionalists would curse our additions of raw oats to this style of beer, but we just love the texture it adds. And it pairs perfectly with the spicy and fruity flavors & aromas of locally grown Sterling and Santiam hops. WIDMER - Nordlander Pils 41 IBU 5.70% - This Northern German Pilsner has aromas of lemon zest and floral hop spice, features a light body with a graham cracker malt flavor and carries a firm bitterness. UPRIGHT BREWING - Engelberg Pilsener 35 IBU 4.75% - Made in a north German style, using a classic Munich lager yeast that showcases the simple recipe while providing plenty of character. Named after Mt.Angel, where the Tettnanger hops in this beer are grown, the Engelberg hits the palate with a firm bitterness but remains light and with a delicate balance. 13 VIRTUES - Brewing Rip City Red 50 IBU 6.00% American Amber/Red Ale - For people who love IPAs but like a little more malt sweetness. We use American 2-row, Munich, Carapils, Crystal-15 and Crystal-120, and a little chocolate malt to add some oomph. We then throw in Palisade, Calypso, and Centennial hops for a balanced, drinkable beer. Cheers! BAERLIC BREW CO. - Hoppy Brown 60 IBU 6.80% - A NW take on an American Brown Ale. Aromas of evergreen, cocoa & sweet orange dance with biscuit, roast and malty sweetness that finishes dry with bittersweet chocolate and citrus. BUCKMAN BREWERY - Buckman Ginger Pale Ale 20 IBU 6.00% - A malt forward pale ale brewed with freshly ground ginger. PINTS BREWING - Konvention Kölsch 4.9% - A Kölsch brewed after the rules of the Kolsch Convention of 1948. ROCK BOTTOM - Brewery Kölsch 27 IBU 4.9% - Easily the best beer you'll ever have. 13 VIRTUES BREWING - 45th Parallel IPA 60 IBU 7.00% - American IPA - Oregon's Willamette valley is on the 45th parallel, which is the same as Germany's famous hop-growing region. Reflecting that balance, our IPA is just that - a classic parallel. We use American 2-Row, Vienna, Carapils, and Crystal-40 to provide a solid, substantial malt backbone. We then add a cavalcade of "C" hops: Cascade, Centennial, Crystal, Columbus, and Citra to give you a big citrusy, floral hop smack right in the kisser. ALAMEDA BREWHOUSE - Yellow Wolf IPA 90 IBU 8.20% - With over 90 IBUs Yellow Wolf has enough eye-popping intensity to satisfy even the most ardent hopheads. It has bright piney nose and light golden color. We suggest pairing it with sunshine. BREAKSIDE BREWERY - India Golden Ale 80 IBU 8.10% - Double IPA/This double IPA is the lightest, hoppiest beer you'll ever try. It's loaded with tropical and fruity notes from Mosaic, Eldorado and Chinook hops and has a light body that really allows the hop flavor to shine. Originally a collaboration with Ninkasi Brewing, this beer is now a staple of our seasonal lineup. BREAKSIDE BREWERY - Feelgood Flagship India Pale Ale 70 IBU 6.40% - IPA/This light copper beer has huge citrus and tropical fruit aromas, with hints of perfume and pine. Flavors like apricot, guava, and orange hit the tongue accompanied by a mild evergreen note. There's just enough caramel sweetness to balance the hop flavors, showcasing the beautiful varieties of hops grown in the Northwest. BURNSIDE BREWING - Other IPA 70 IBU 7.0% - The Other IPA utilizes copious amounts of Meridian, Mosaic, and Amarillo’s, some of our favorite hop varietals. Other IPA’s hop profile is aptly balanced with a specialty malt backbone to match it’s hop profile. Don’t tell our original IPA, it’ll be our little secret. COALTION BREWING CO. Space Fruit Citrus IPA 76 IBU 7.0% - A special seasonal India Pale Ale brewed with five different citrus zests, accompanied with a light malt backbone to give a substantial dry and tasty west coast finish. ECLIPTIC Orbiter IPA 75 IBU 7.40% - Orbiter IPA unites a constellation of “C” hops (Cascade, Centennial, Chinook, and Columbus) to create a formidable India Pale Ale. Bright and citrusy hop flavors and aromas shine in a medium body with caramel malt character. FAT HEADS Sunshine Zest 60 4.90% - Session IPA. Big hop aromas with flavors of citrus, peach, orange and tropical fruit with a nice light malt backbone, topped off with some citrus zest. DESCHUTES Pinedrops IPA 70 IBU 6.50% - This lively IPA delivers a crisp and light malt body with ample citrus and pine notes from Chinook and Equinox hops. Inspired by the aromas and silence we experience when exploring the scenic pine forests just up the road from our brewhouse. OLD TOWN BREWERY - Shanghai’d IPA 65 IBU 6.50% - A medium-bodied IPA with grapefruit, resinous and piney hop aroma, and tropical flavors derived from the Columbus, Nugget, Cascade, Liberty and Crystal hops. These characters are delicately balanced by a touch of malt sweetness from the honey malt used in this beer. Complex in character, distinct in taste. SASQUATCH BREWERY - Woodboy IPA 74 IBU 6.80% - Made with Centennial hops from the Willamette Valley and then dry-hopped with 3 pounds of Cascade hops after primary fermentation. The result? An intensely floaral aroma and a luscious, citrusy flavor. This beer is for the true hop lover. UPTOWN MARKET BREWING Hero IPA 50 IBU 6.00% - Straight out of the Uptown Brewery, this IPA is simply too fresh to inspire a hero-worthy description. Here’s all you need to know: Brewed with a Pale Malt from Chile through a 90-minute boil, the Hero is well-bittered with Ella Hops from Australia, and Orbit hops from New Zealand for aromatics. NATIAN BREWERY - McGuinness 9.20% - Imperial Milk Stout aged on Kahlua soaked oak. More of a smooth stout with a rich dark depth rather than boozy. This beer utilizes more chocolate malt than roasted barley which helps pronounce the smooth/silky qualities of a milk stout. The more this beer ages, the more the Kahlua soaked oak develops a slight vanilla flavor to compliment the roasty/chocolate profile. DESCHUTES - Cyclist Radler 7 IBUS 3.8% - Traditionally known as a Radler in Germany this beer is a mix of our German Hefeweizen and Lemonade to create a deliciously light and refreshing beer. EX NOVO - Old Ex 25 IBU 7.5 - Malt Liquor. The old American classic – strong adjunct ale crafted in PDX. GIGANTIC BREWING - Ume Umai 7.50% - Plum & Black Rice Beer. Inspired by the Japanese flavor palette, we combined plums, black rice and pilsner malt to make a unique beer experience. Brewed “dry” in the Asian manner, and soured in the kettle to give just a hint of tartness, Ume Umai is fruity, yet earthy and above all refreshing and delicious. OLD TOWN BREWING CO. - C.R.E.A.M. Get the money 30 IBU 5.00% - This pre-prohibition cream ale is what your great-grandparents would have drank at the turn of the 20th century. It is a lighter straw colored beer with a slightly sweet aroma. The flavor has a medium bitterness from the Santiam hops and finishes with a moderate malt sweetness. STORMBREAKER BREWING - Red Storm Rider 63 IBU 7.60% - We teamed up with the awesome brewers at WILD RIDE BREWING to create this Imperial Red aged for over 3 months in Bull Run bourbon barrels just for this awesome new festival. Aromas of oak and toffee, with notes of chocolate, lend way to extenuated caramel flavors with a smooth bourbon finish. Here’s to you Portland! REVEREND NAT'S HARD CIDER - ¡Tepache! 3.20% - A traditional Mexican drink made from fresh Costa Rican pineapples, Michoacan piloncillo sugar, and a blend of three spices. It is meant to be served mixed with a Mexican lager. SASQUATCH BREWERY - Berry Pie 6.85% - North West apples and blueberries are used to give this semi-dry cider a refreshing twist of happiness in a glass.